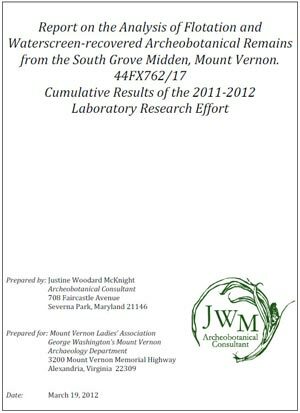 Reanalysis of the South Grove Midden artifact assemblage commenced in 2010 following a successful kick-off fundraising event hosted at Mount Vernon by the Life Guard Society. The Life Guard Society draws its inspiration from an elite group of 150 officers responsible for ensuring the safety of George Washington during the Revolutionary War. Today, the society is dedicated to generously supporting the mission of the Mount Vernon Ladies' Association. The Life Guard's support facilitated the two year project to re-catalogue, digitize, research, and analyze this significant Washington-related site. October 2010 – Kicked off the project with a Life Guard Society fundraising event where dinner was served by staff dressed like Indian Jones. 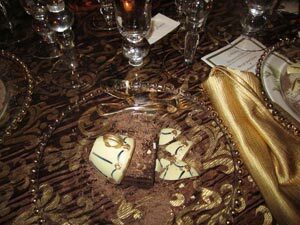 The finale was an archaeologically-inspired dessert topped with broken white chocolate tea cup sherds! May 2011 – Began our Mystery Midden blog with a post about our project. 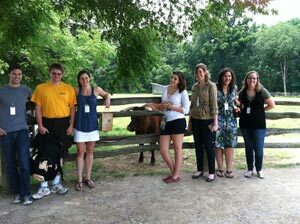 June 2011 – Hosted a unique summer internship opportunity in material culture research and welcomed undergraduate and graduate students from diverse scholarly backgrounds including archaeologists, historians, art historians, and even an artist! December 2011 – Finished picking the water screen and flotation materials yielding beads and fish bones galore! 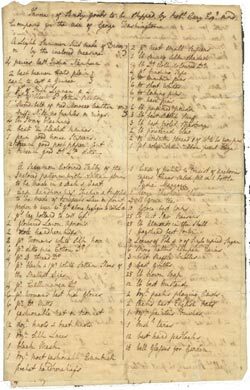 February 2012 – Uploaded the Invoices and Orders database to the website allowing visitors to search 3,839 entries relating to goods shipped to Mount Vernon. March 2012 – Final report on the botanical remains from the midden submitted. 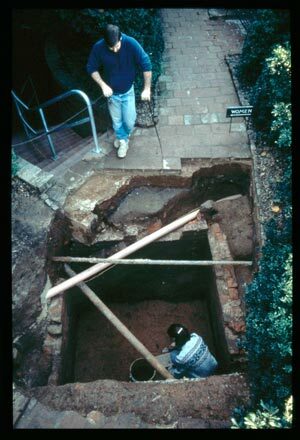 October 2012 – Received the word that Phase II of the Archaeological Collections Online Initiative would be funded for 2013 and focus on the House for Families slave quarter! 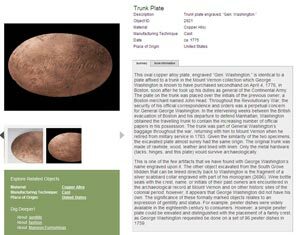 November 2012 – Finished writing 400 object summaries to compliment photographs and detailed catalogued information for the featured objects on the website. 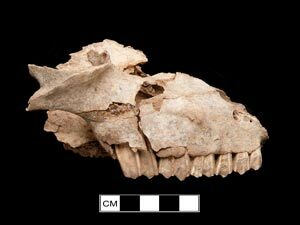 November 2012 – Received data on the thousands of mammal and fish bones excavated from the midden. 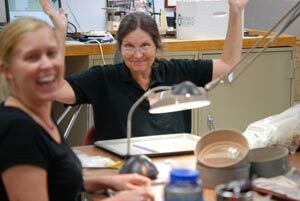 December 2012 – Said thank you to nearly 600 fans of our Mount Vernon Mystery Midden facebook page. 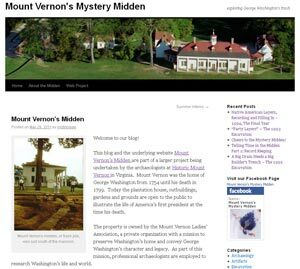 January 2013 – Launched www.mountvernonmidden.org!